The recall covers minivans from the 2011-16 model years, the automaker said today in a statement. 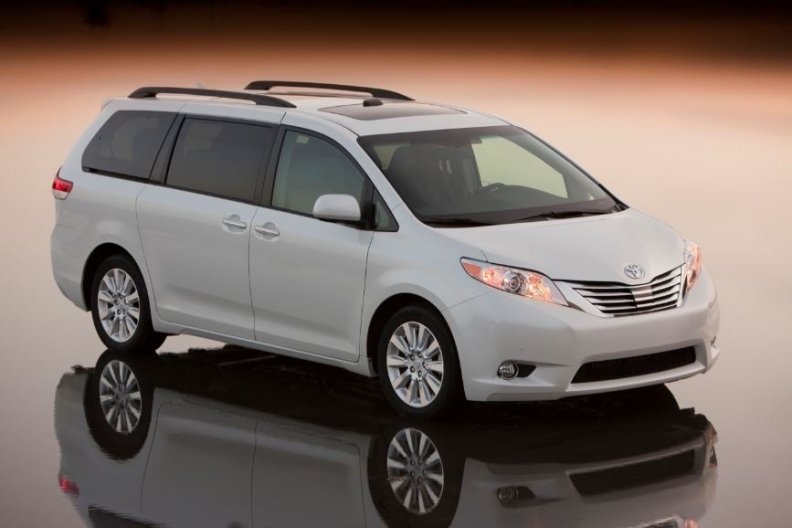 Toyota is recalling about 60,000 Sienna minivans in Canada and 744,000 in the United States because of a defect that can cause the motorized sliding doors to open while the vehicle is moving. The recall covers Siennas from model years 2011 through 2016, according to a statement posted on the company’s Canadian website. A Toyota Canada spokesman said in an email that the company is not aware of any injuries. Toyota said it is currently developing a remedy for the problem and would notify the affected owners of the recall by first-class mail. Transport Canada also issued a recall notice on its website. "On certain vehicles equipped with power sliding doors, under certain conditions which impede the opening of the door (such as if the door becomes frozen with ice), the sliding door motor could stall when the door is operated. If the motor stalls, high current in the door motor circuit could be generated, operating the circuit protection for the door motor. If this occurs with the sliding door latch mechanism in an unlatched position, the door could open while driving, increasing the risk of injury to a vehicle occupant," Transport Canada said.